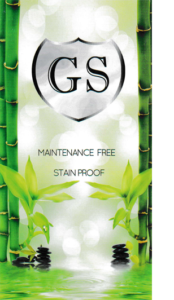 Stain Proof – Granite Shield worry free LIFETIME STAIN PROOF PROTECTION Warranty. Maintenance Free – Simple and convenient one-time application process. Any Environment – Business, Home, In or Outdoors – all is protected for the life of the treated surface. Unrestricted – Protects against bacteria and molds. Meets FDA and AMA guidelines. Inert permanent barrier. Ultra Hygienic – Use the cleaners you already have including those containing bleach and ammonia. No Design Limitation – Any natural and engineered stone surface can be treated with Granite Shield, so there is no design limitation, no matter the color or where your stone is purchased. Granite Shield can be applied to new or existing granite. 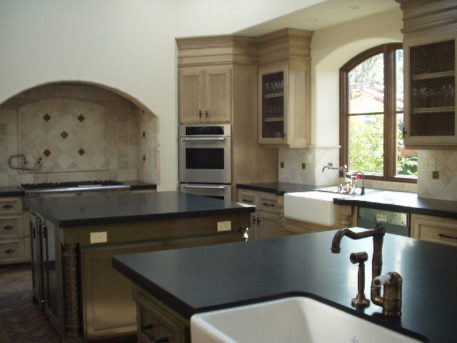 Sealed or unsealed Granite Shield can penetrate existing sealers. If It Doesn’t Say Granite Shield it Isn’t LIFETIME and it Isn’t MAINTENANCE FREE! Finally, cleaning conforms to your lifestyle! Even if spills sit until they’re dry, your granite countertop sealed by Granite Shield will not stain with the advanced catalyzing polymer technology in Granite Shield’s Lifetime Treatment Process. Never again will you need to seal your countertops, yet the increased shine and more vibrant color can only be found with Granite Shield and will be unchanged for life. A surface treated with the revolutionary Granite Shield Process results in a permanent barrier on granite. Protected against staining for the life of the Countertop. 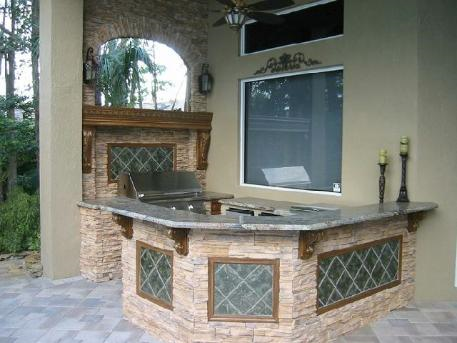 Indoors / Outdoors / At Home / Commercial business – all receive the LIFETIME Granite Shield warranty! No other local or national product offers this protection. Treated with the Granite Shield granite surfaces are “ultra hygienic” protecting against many household forms of bacteria and mold. A safe investment begins with a safe home! With Granite Shield your treated surfaces are protected so you have more time to enjoy life, worry free! Granite Shield is the only national product capable of delivering the strongest performance and warranty in the industry. No matter your life style, Granite Shield allows you to live with a level of convenience and peace of mind you will not find in another treated stone product. Indoors or outdoors, it doesn’t matter! With Granite Shield your surfaces will remain looking good forever, without worry, hassle or cost of years resealing! You’re covered — carefree, worry free! For more product information, please visit us on the web at www.GraniteShield.com.